Proposing and sanctioning rule changes is easy; implementation and honesty in assessing how it's working is the difficult part. 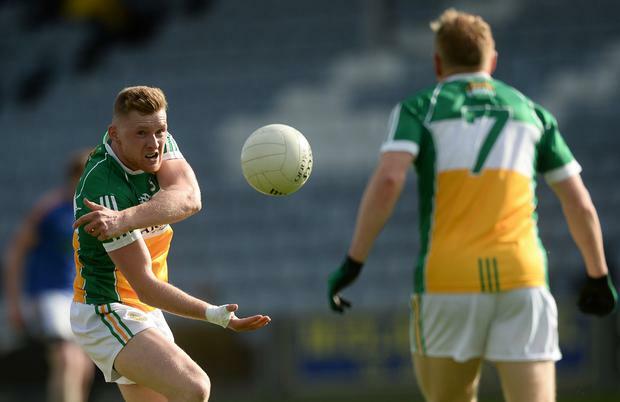 Footballers and their managers will be dealing with a much-changed game when the pre-season competitions launch next month and, more importantly, when the Allianz League begins in January. Restricted handpassing and a new 'mark' arrangement in the attacking half are the two biggest changes in a suite of measures which also includes adjustments to kick-outs, sideline kicks and discipline. The latter three are small tweaks, but the first two will change the game as we know it. Allowing only three successive handpasses - after which the ball must be kicked - is one of the biggest adjustments football has ever faced. All the more so in an era when handpassing is so prevalent that it's a rarity to see a game where the number of short transfers doesn't exceed 300. In many cases it reaches 400. That's an increase of around 100 per game in eight years, underlining why experimental change was necessary. The public don't pay to watch football games where the dominant feature is incessant handpassing. It's monotonous and boring, sucking the life from a game which has such a huge capacity for entertainment. Will limiting the handpass to three make a big difference? We don't know, but we are about to find out. Opponents claim it will add to defensive negativity, but they are merely speculating. That is why the experiment is not only worthwhile, but absolutely necessary. It will show if handpassing is indeed the malevolent influence that's sucking entertainment value from the game and testing the public's patience to a degree that makes them question whether they want to pay in to watch. If it is, then the rule change is here to stay; if not, it's back to the drawing board for another look. The first big test for the experiment will come when players and managers start offering their views once the new season starts. The lessons of history are not encouraging in this regard. The usual reaction to change among players and managers is open hostility, usually prefaced by headline-grabbing descriptions such as 'disgrace', 'joke', 'mockery'. Managers are especially prone to overreaction, almost as if a particular rule change was designed specifically to thwart their team. The introduction of the 'sin bin' some years ago was a case in point. Managers ridiculed it to such a degree that the rule-makers lost their nerve and backed off. It's back again as part of the experimental package, but won't get as much attention this time because of the more significant changes. You would like to think that managers, in particular, would look at the handpass change objectively, rather than simply ganging up to attack it. Based on previous experiences, that's probably wishful thinking. The advanced 'mark' change will also come under intense scrutiny and, in fairness to its critics, its rationale is much less valid than the handpass change. A player who receives a footpass, which has been kicked from outside the opposition's '45' and travels 20 metres or more, can call a 'mark' and have the option of a free shot at goal. It's a big change, probably too big when the handpass experiment will also have such a major impact. Will the new 'mark' rule encourage more players to drop back into the defensive zone in an attempt to prevent the intended receiver making a clean catch? That's an obvious danger, although, like the handpass, the implications will only become apparent once the rule is operational. Insisting that all sideline kicks must go forward is a minor tweak, but the obvious question is why the same shouldn't apply to free-kicks. While the Central Council were in change mode at Saturday's meeting, they backed off from making it necessary that all kick-outs pass the 45-metre line. It's difficult to understand the reasoning behind their decision as there was an obvious merit in encouraging aerial contests for possession. Rules changes aside, the decision to back a secondary football championship is significant. There has been a mood for change in this area over the past year or two, with support growing all the time. It can work, but only if it's carefully planned and run, unlike previous attempts which appeared to have all the hallmarks of a concept that nobody really believed in. Only three successive handpasses will be permitted, after which the ball must be kicked. A player can call a 'mark' inside the opposition's '45' if he makes a clean catch from a delivery that has travelled at least 20 metres and has been kicked from outside the '45'. All kick-outs to be taken from the 20-metre line. All sideline kicks, except those inside the opposition's 20-metre line, must be kicked forward. Ten minutes in the sin-bin, with no sub allowed, will replace the black-card sanction where a player is sent off for the rest of the game and a sub comes on.